I'm a new minimalist convert and running pain free for the first time in years. I like Somnio on fb and commented on their wall about your giveaway. Plus I let them know I really need to win these cool looking shoes. I trying to get back some of my mileage with my vff's that I lost when I had that peroneal tendon problem from progressing to fast. I just got some Saucony Kinvara 2. Hoping that will help me in my transition with the vff's. Slow and steady this time. Like the look of these. I "liked" Somnio on FB. I love the idea of barefoot/minimalist running. It makes sense to me. I'm not able to run very much right now due to ITBS, but I plan to keep the transition to minimalist going once I am running again. I have some VFF Treks. I also wrote on their wall (my first name is Stephanie if you want to check). I also liked Barefoot Angie Bee--that is, I did it a while ago. I'm not sure if it counts again, but if it does, yay. I also follow your blog via Google Reader. I have tried barefoot running but our neighborhood was hit by a tornado about a month ago and there's still glass (and splinters) all over the sidewalk and in the streets so I can't run barefoot without driving somewhere else, so I don't very often. I do own a pair or two of NB 101s, which is partway there. I like Somnio on facebook! I have not tried barefoot/minimalist running..I am intrigued by it, but a bit leary as I have had a few friends run into injuries caused by thier forays into minimalist/barefoot running. I have a midfoot strike naturally so I don't benefit as much as someone who heel strikes. I already follow your blog! Already like you on FB! I posted this giveaway on FB! Wrote on their wall and told them you sent me! I tested out Newtons, but didn't like them. I like my Vibrams, but I will use them more when I'm not in heavy training mode. Okay liked angieB on FB and If I win Shacky can have the shoes.. Let's see if the karma goes both ways? Barefoot and minimalist running - that sounds kind of cool, maybe I should try that..;) Okay joking! Oh and I wrote on Somino's wall.. I think that's an extra entry, if it isn't then karma will forgive me. Ok Angie.. I like you, I wrote on the wall, shared your giveaway.. and yes I've run barefoot! I want to try these!!!! 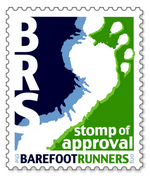 Thanks for all the great product reviews and for giving me the gift of barefoot running. Each day that I get to feel the road meet the soles of my feet is a gift and brings a smile to my face. I love it! I have never tried minamilist shoes...went straight from cushion to barefoot. I would love to give these Somnios a try! How wide is the toe box. Do they come in EE+ sizes? i liked Somnio on fb! I wrote on Somnio's wall about the giveaway! I liked your blog on FB! I linked to the giveaway on FB! I follow your blog, but no FB for me. That being said, this is a tempting shoe. One of my issues/worries is that in a minimalist shoe (currently the Merrell Trail Glove), when I get on the road, I revert back to my heel strike - which cannot be good. I want these shoes! I have been wearing VFF's nearly a year and am looking for something new! I tried on some Merrell Trail gloves yesterday. I can't say that I was excited about the feel. Especially for $110. I would be unable to run(knee arthritis) if it weren't for VFF's. I would assume the same for other minimalist type shoes. Would love to try the Somnio's. It is tough choosing the next shoe. I am interested in the VFF Treksports but considering going to something else. I had not heard of the Somnio's until your post. Thanks. I follow you on fb. Posting this on my blog. I have not tried minimal shoes. Although I am researching them to figure out what would be good for me to try out once I'm past my marathon. I've ran barefoot once on my treadmill awhile ago. I liked it because my feet were just hot in my shoes. I'd love to get more into it though. I like somnio on Fb! I like your new FB page! Posted on my FB page! I'm close to trying bf running. To many injuries in the last year! I also tweeted on FB under Babyweightmfa ! Barefoot and minimal for a while. 3 glorious miles this morning with my wife. I've got a pair of Merrell Pace Gloves I've tried and I'm still getting used to them. I think I'm really going to like the minimalist/barefoot when I get used to it. I just posted about this on my FB page. I tried barefoot running like it but when I got an infection from some blisters had to stop. Would love to work with an Ohio based barefoot expert but cant find one. Since Nov of 2010 I have been a minimalist runner and love it. My back and knees dont hurt when I run anymore. Liked Somnio before the giveaway. Posted on their wall that you sent me. Liked your FB page. Tweeted and FB'ed this page. I've been running on the Luna Sandals for the past year. Ran a half marathon wearing them. Also ran a half marathon on the Soft Star Shoes' Runamocs. And more recently, ran a 5K barefoot. The Somnio Nadas sound like they're a good alternative on easy days. Oh, and I follow your blog! I have a pair of inov-8's that I have worn a few times. They definitely take some getting used to. I've run on the TM without shoes before and it feels amazing. Love the name of these shoes! I like Somnio on facebook. And now I like Barefoot Angie Bee on facebook. I already follow and enjoy this blog. I run/walk/live barefoot. I have a pair of VFF for places that require shoes and I've tried them in a 5k. I run barefoot once or twice a week. This will be great for hot day's. I left a comment on their facebook page that you sent me there! I have not tried barefoot running or minimal running but have an interest in it. here goes... liked you on FB! and again... liked Somnio of FB. I wonder if Somnio even makes shoes in my size?? I have trouble finding minimalist shoes from everyone else. OK... wrote on Somnio's wall. whew... getting tired...*panting*... OK so now I FB'd all my buds about this giveaway and a link to your blog. I already follow you, girl! I liked Somnio on Facebook! I put a link to this post on my blog! I've tried (and still do) minimalist running. I've tried barefoot as well, but don't do as much of it these days as I train for a marathon. I tweeted about the contest! I Like'd Somnio on Facebook! I wrote on Somnio's wall! 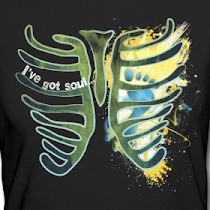 I like'd Barefoot Angie Bee on Facebook! I've been following your blog for several months now...love it! I started running 1 year ago and switched to barefoot (minimalist shoe) running 8 months ago! I use the Vibram's right now and love them! These shoes look great, would love to give them a try! do i have to leave as many posts as others? i liked you and somnio on FB and am posting here. good. I wrote on their wall. I like BF Angie Bee on FB. I've been running minimalist with a little bit of barefoot for almost three months now. I have tried VFFs, but am intrigued by a more "shoe" design that is easier to get in and out of. but honestly, I tried it a few times and it made me realize what I can do with my form. I thought I liked you on facebook, but I do now!! Been running minimalist for a couple of years, regularly for the last year. Trying to do more and more barefoot, but struggling with blisters. . . I follow your blog, and I have only run barefoot on the treadmill over the winter and been wearing Merrill's Pace Glove for the last few months. I really like the shoe - travels very nicely to boot - but have been interested in trying one that's a little more road oriented. I'll be giving these a go one way or another. Thanks for the review! I follow your blog. Keep up the great work! I have tried running (completely) barefoot but I love my minimalist shoes such as the Merrell Trail Gloves. I wish I had the time (and confidence) to build up to running completely bare more often.